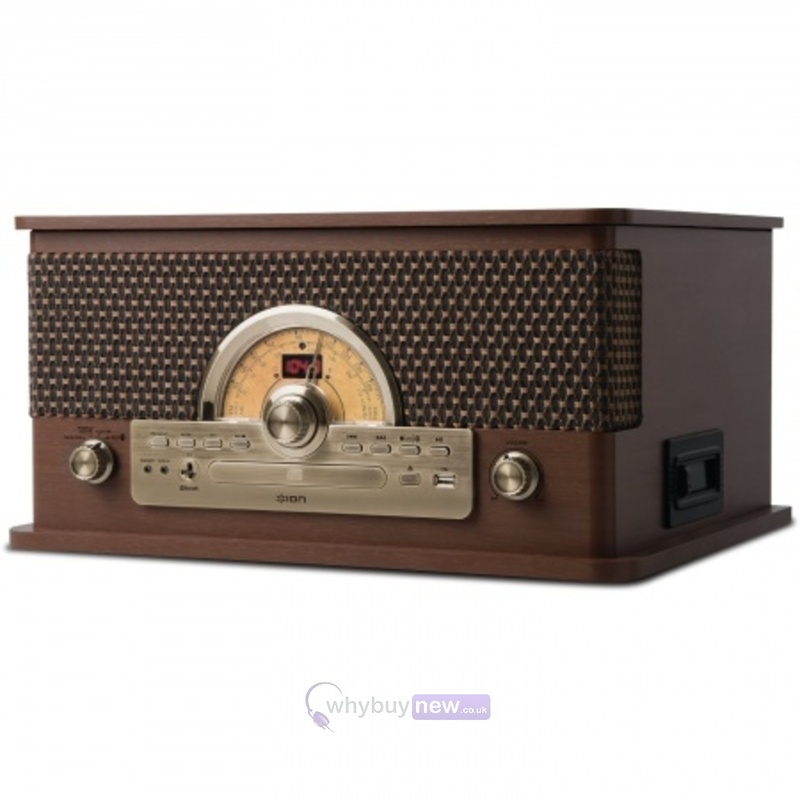 The Ion Superior LP is a 7-in-1 music center with digital conversion which, can play all your music including vinyl records, cassettes, CDs as well as featuring an AM/FM radio, Bluetooth connectivity to stream your music wirelessly and an Aux input. This is the only piece of equipment you need to play everything you have. 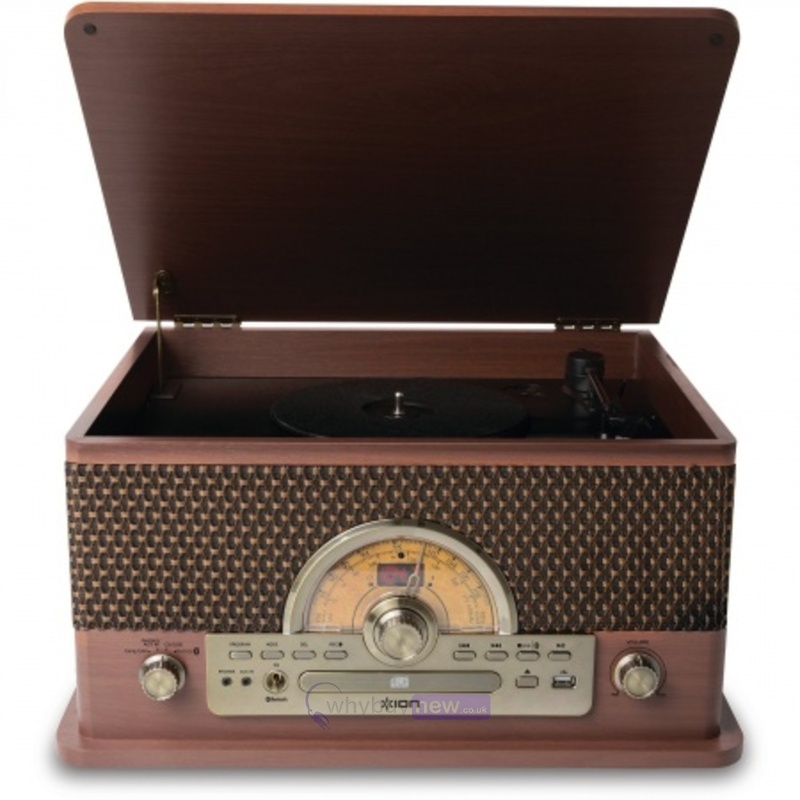 Superior LP plays 7", 10" and 12" records on its three-speed belt-drive turntable, it has a cassette player, a CD player, an AM/FM radio and it plays any device you have connected to its Aux input. It's also equipped with Bluetooth®, so you can stream music wirelessly from any Bluetooth-enabled device. This is truly an all-in-one entertainment powerhouse. It has built-in stereo speakers and a powerful on-board amplifier so you don't need any other gear to enjoy your favorite tunes. 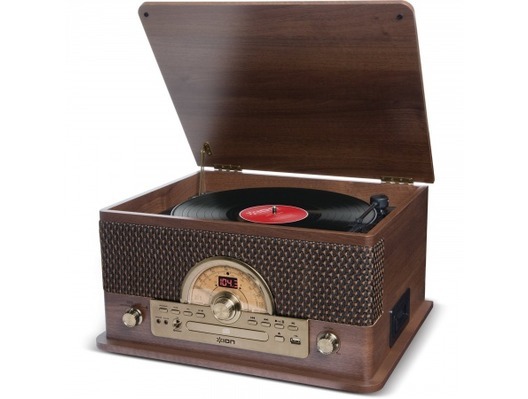 Plus, it has a USB input so you can simply insert your thumb drive and digitally record your cassettes or LPs onto the drive as you play them. 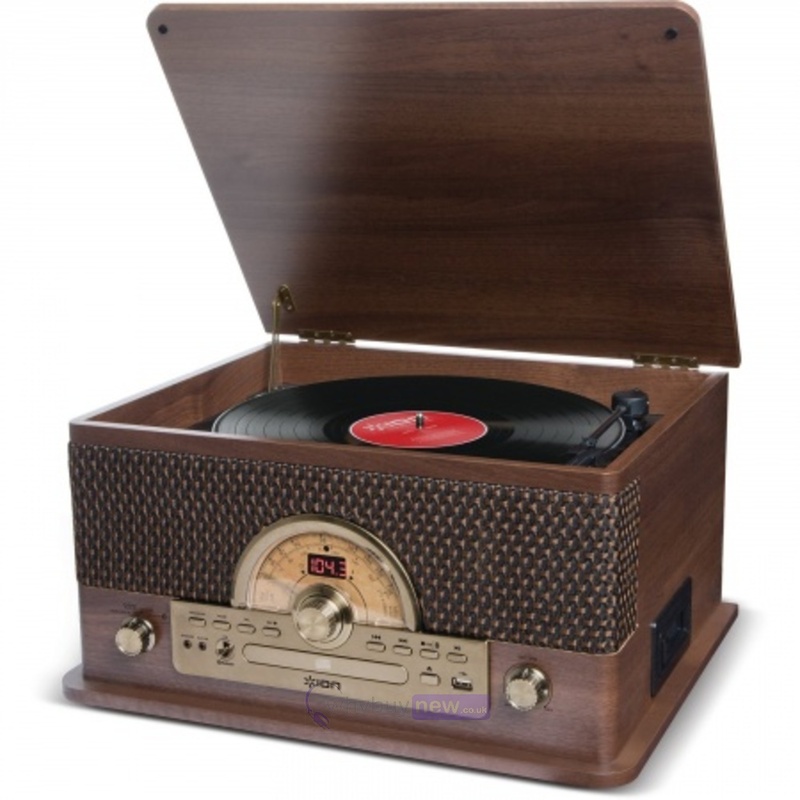 There's a headphone output for private listening, an informative 2-digit LCD display and RCA lineouts if you want to connect Superior LP to other equipment. Here we have the Ion Superior LP in new and manufacturer refurbished which will come boxed 'as new' with a 1-year warranty. Buy this amazing Superior LP with confidence with 100% satisfaction guaranteed or your money back!